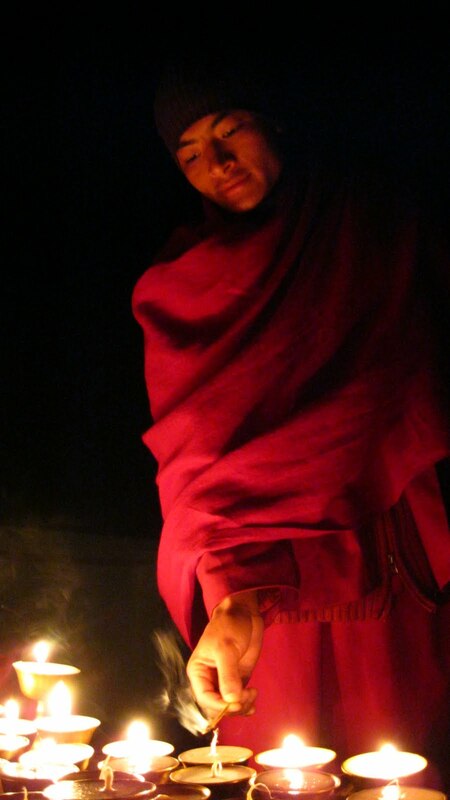 When I trace back through my spiritual lineage I return to the Himalayas, to India, Nepal and Tibet and Bhutan. I am inspired by past present and future meditators, yogis and yoginis who devote their life to enlightenment, self realisation and helping others. Their teachings, and embodied wisdom offers insights that seed the growing practice of living mindfully, of breathing easy, of waking up. 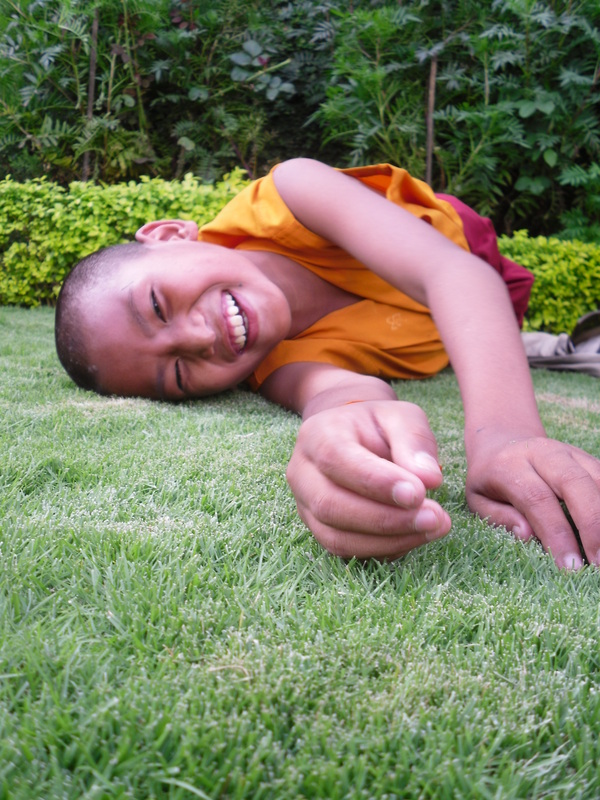 In the spirit of gratitude, friends and I have since 2007 run special restorative classes, or ‘rest gatherings’ to raise funds for Himalayan region children living in India and Nepal. Funds go toward education, much needed environmental initiatives and the children’s well being. 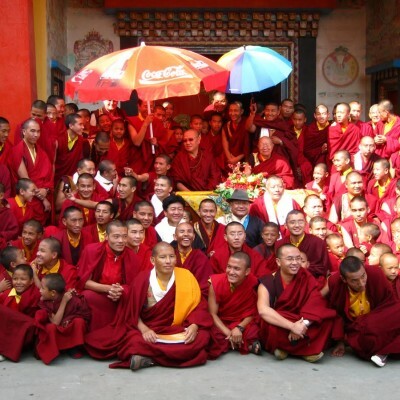 I have had the honour every few years since 2009 of personally delivering funds raised and also to live, learn and teach Yoga and English within two Tibetan Buddhist monasteries in Nepal. 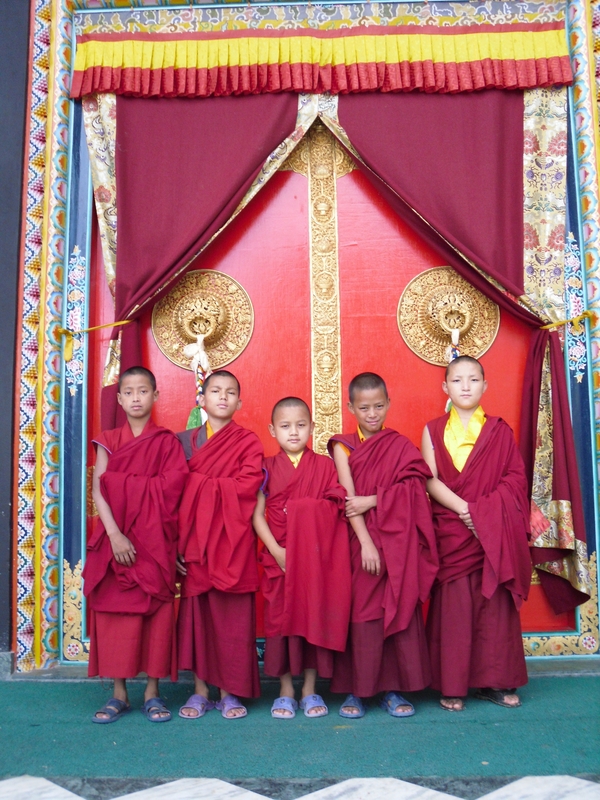 Many of the monks and nuns from as young as five come from remote villages, inaccessible by roads, some having to walk for over a month to reach the monastery. 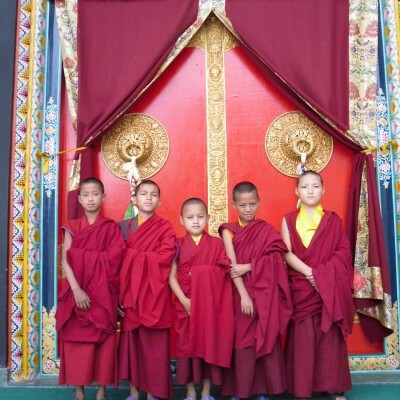 Here they live as a community immersed in the study and practice of Buddhism, and other general school subjects such as English, Tibetan, mathematics and social studies. 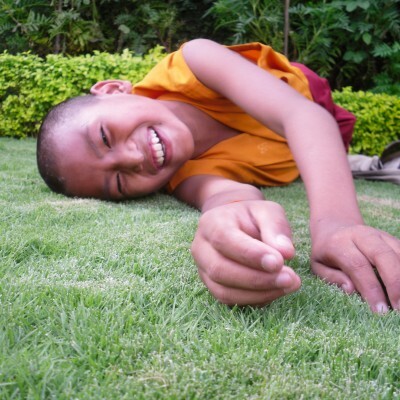 What inspires me is that from such a young age the monks and nuns live with a genuine motivation to be kind and compassionate to all beings, inspired by great Lamas such as His Holiness the Dalai Lama and His Holiness the Karmapa. 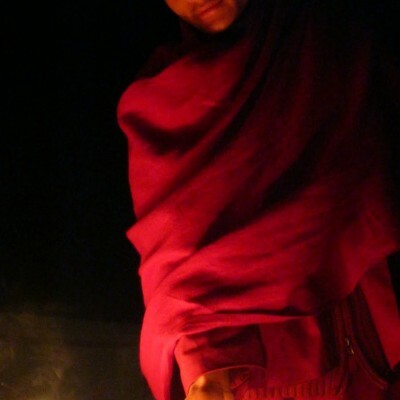 I was last in Nepal November and December 2016 distributing funds for building materials, bedding and creating a small library for the young monks. Friends from Christchurch and I have now created ‘YOGA COMMUNITY NEW ZEALAND” to raise awareness and much needed funds for the Monasteies community support efforts. 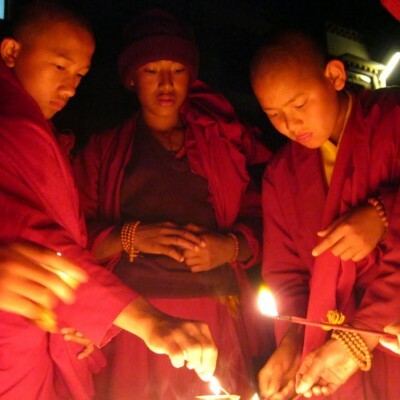 If you would like to be involved in any way to support the young monks and nuns, contact Karla. Rest gatherings offer time and space to dive deeply into the practice of restorative Yoga. Restorative Yoga is a powerful and simple practice to nourish and calm the nervous system, enhance breathing, circulation and digestion. 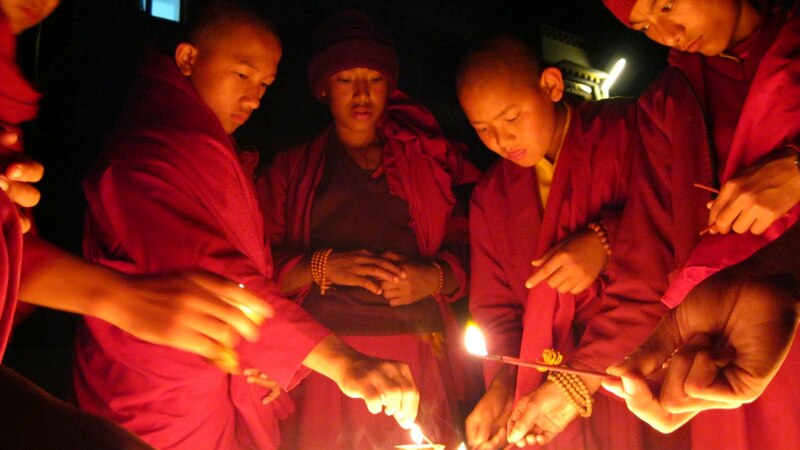 As in previous years, ‘rest gatherings’ proceeds will go to supporting the education of Himalayan region children, Monks and Nuns from India, Nepal, Tibet and Bhutan. Funds will also be directed to a rebuilding project in Nubri, Nepal. Please view Karla’s blog for images of her travels and activities both here and in Nepal.